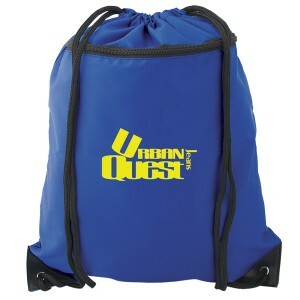 Don’t confuse this personalized polyester drawstring knapsack with other inferior or budgetary knapsacks, which you have largely seen around. 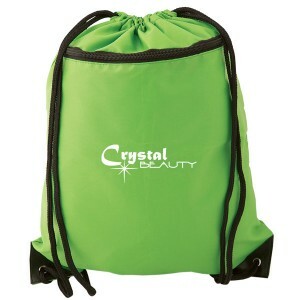 These colorful knapsacks offer amazing visibility to your brand logo and it is sure to drive your sales overboard. 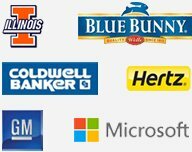 It is a great hit with sports lovers, gym bugs, travelers, holidays, college going youth, high schoolers, office goers and many others because it allows them to manage their belongings skillfully. 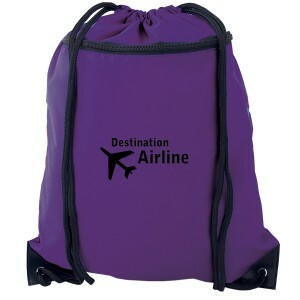 They can put their handy things at the front zippered pocket and other valuables in the large compartment. 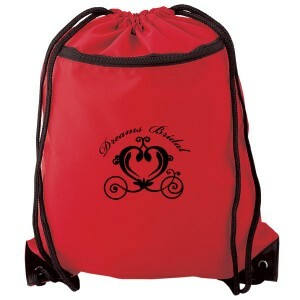 Request a quote to know wholesale price savings offered for this promotional polyester drawstring knapsack. Features- 210D Polyester. 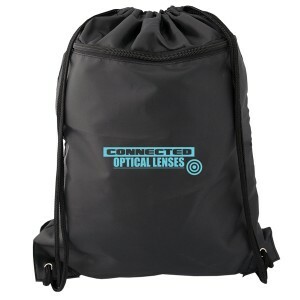 Black double cords that act as drawstring closure and straps for backpack. Large front zippered pocket. Black rubber reinforced bottom corners around silver metal grommets. 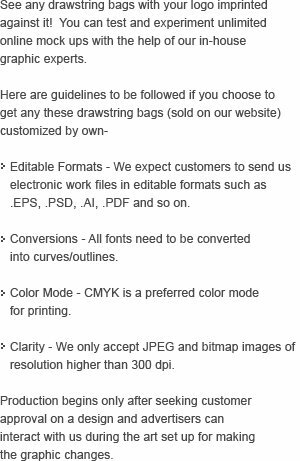 Item Size: 14.5" W x 18" H.